Compassion UK, one of the UK’s largest child development charities, moved into new office premises in Fleet, Hampshire on Monday 21 May 2018, after being based in Weybridge for the past 17 years. The new office building in Barley Way, previously owned by Surrey County Council, will now legally and affectionately be known as ‘Compassion House’. The Christian charity decided to make the move from Weybridge after its landlords there chose to redevelop its offices for residential use. 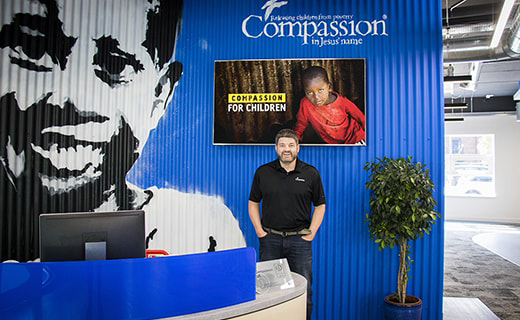 By moving further away from London, Compassion UK took the opportunity to buy new premises, rather than renting, and the new offices are 50 percent bigger than before. Compassion UK now has more than 100 employees, some of whom have chosen to relocate to Fleet to be closer to the new office. Compassion UK has already received a warm welcome from church leaders in Fleet. "We can’t wait to be part of the Christian community around Fleet and north Hampshire. We have been discussing transferring the charity to a larger, more permanent base for numerous years, so we are really excited to finally move into our new home. It’s a huge wrench to leave Weybridge. God has blessed us hugely over the past 19 years and, in our time there, we saw more than 100,000 children sponsored by Christians across the UK. However, we’re excited by the opportunities our new offices in Fleet will bring. 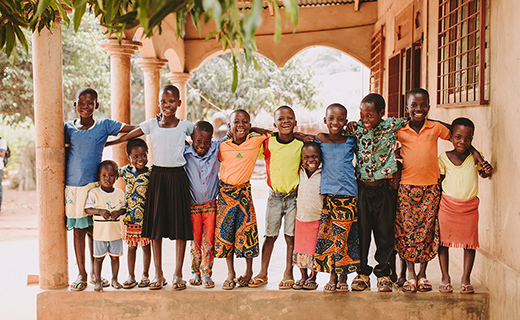 This new space will help us carry out even more amazing work releasing children from poverty in Jesus’ name." Compassion House has been purchased and completely refitted by the charity, a long-term investment by the Compassion UK Board and senior leadership. Accessibility has been a key consideration, with new ramps installed alongside a lift allowing disabled access throughout. The charity has also installed solar panels on its roof to reduce electricity costs and invested in four electric car charging points, following a decision to replace its fleet of diesel company cars with plug-in hybrid vehicles to save costs and help the environment. The purchase and refit equates to just 12 years of rent, meaning that in 12 years’ time, money that it has previously spent on its office premises will instead be used to provide extra money to support children in poverty. Compassion UK is committed to using at least 80 percent of its income to directly benefit children in poverty, and this will continue without change following the move.